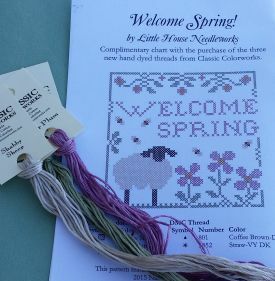 Each skein contains 5 yards of 100% Cotton 6-Stranded Floss. 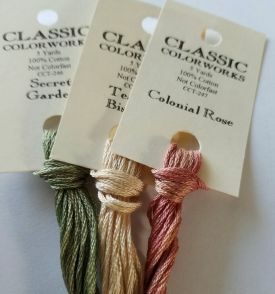 2017 Nashville new colors: Tea & Biscuits, Secret Garden and Colonial Rose. 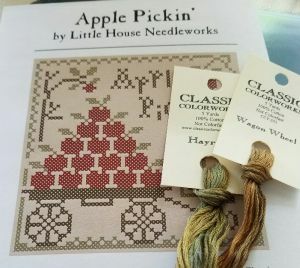 Free chart with 2 new colors, Hayride and Wagon Wheel, September 2016. 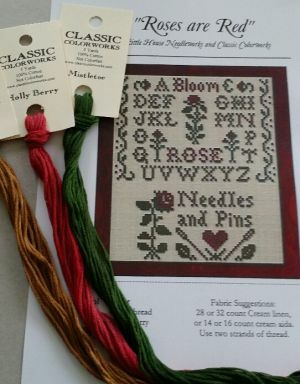 2 new color Strawberry Parfait and Rose Petal with a free chart.